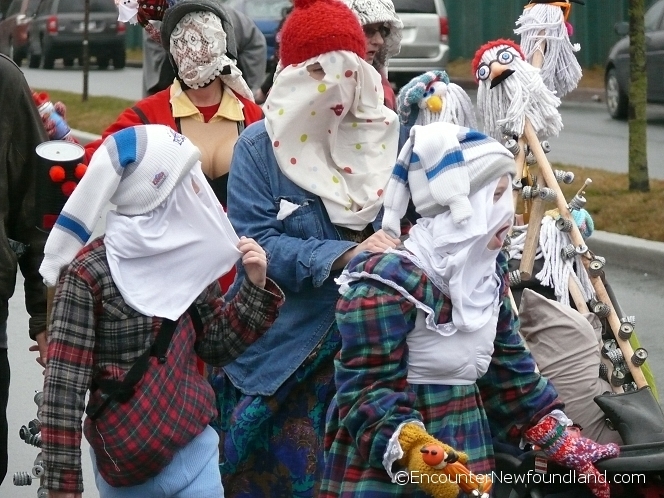 Mummering, also known as jannying or mumming, is a tradition of house visiting, whereby groups of friends disguise themselves with whatever comes to hand—curtains, lace doilies, mop heads, mismatched footwear, and even nan’s old bras—to pay visits to their neighbors during the Christmas season. 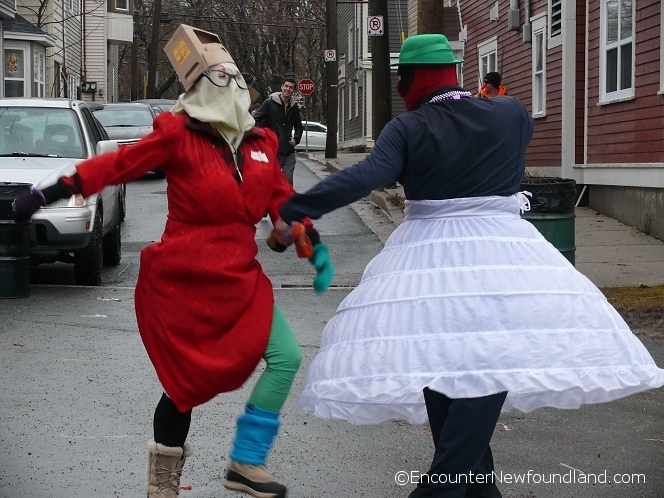 They announce their arrival by banging loudly on the door and shouting the traditional inquiry of ‘Any mummers ‘llowed in?’ and an invitation to enter the home marks the beginning of the revelry. 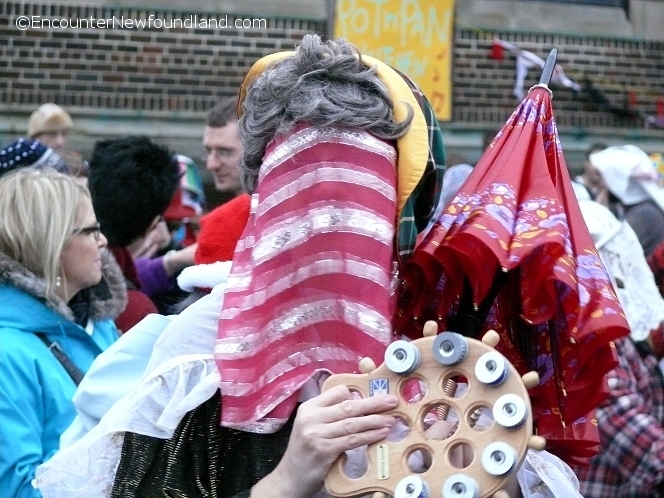 Once granted permission to enter, the mummers, who come equipped with musical instruments—many of them homemade from pots, brooms, bottle caps and sundry other items—proceed to offer entertainment to the household by singing, dancing, telling jokes or just acting the fool, while the residents attempt to guess the identity of each mummer. 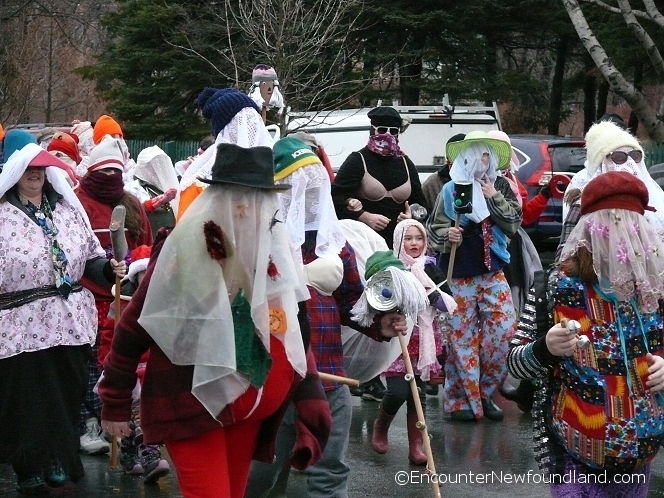 As each is identified, the mummers are free to remove their disguises and partake of the hospitality, usually a nip of spirits, before moving on to the next house for more of the same. 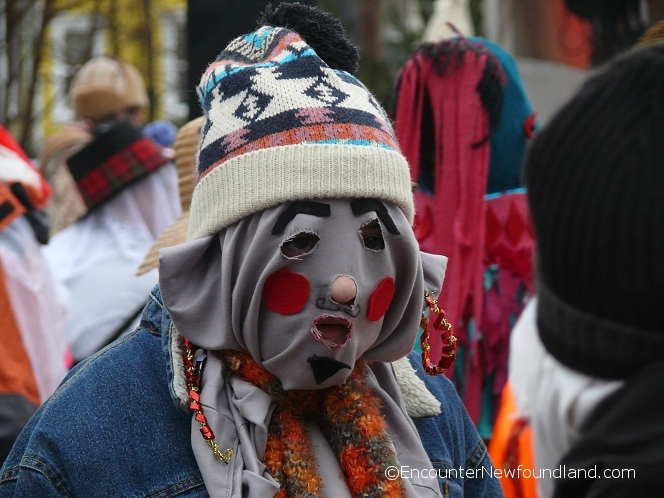 The practice of mummering itself has its roots in sixth century Rome with the festival of Saturnalia, a celebration in honor of the god Saturn in which roles of master and servant were reversed and the entertainment was often boisterous to the point of violence. 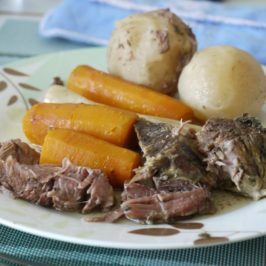 The festival became popular in England and Ireland during the middle ages and was brought to the New Founde Lande by English and Irish sailors in the nineteenth century. 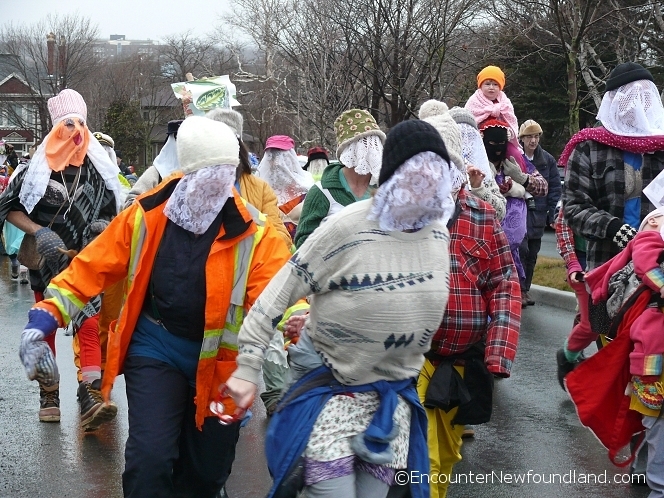 As in ancient Rome, mummering in Newfoundland turns reality topsy-turvy. 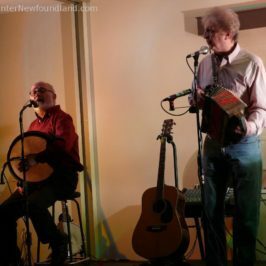 For a time, the known becomes the unknown, with faces carefully disguised by baskets, masks or drapes of cloth, shirts and trousers stuffed to ridiculous proportions, and voices drastically altered to add to the confusion. Women dress as men and vice versa, and underwear, including nan’s old bra, is worn on the outside of clothing, all in a determined attempt to reverse the normal order of things and keep one’s identity a secret. 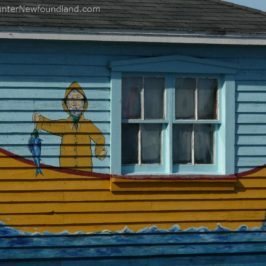 For a time there were no mummers ‘llowed in the province. In it’s earlier days, with alcohol flowing freely and all identities concealed, the revelries frequently resulted in harm to both people and property. Some locales were terrorized by a frightening hobby horse with hobnail teeth, which would chase those not in disguise, while drunken revelers, knowing they could not be identified, carried sticks and rocks used to beat the unwary. 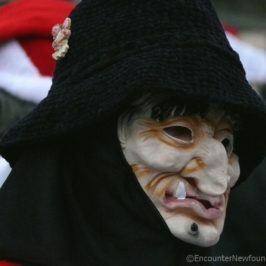 The custom was eventually banned in 1860 after an individual was murdered by a group of three men disguised as mummers. 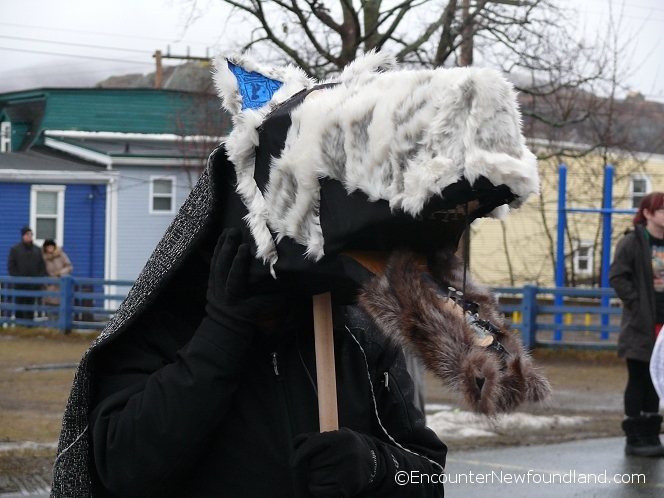 The ages-old tradition of mummering didn’t die out altogether, however; in an isolated rural Newfoundland relatively free of law enforcement, the tradition carried on despite the ban, and today the custom is still alive and well on the island. 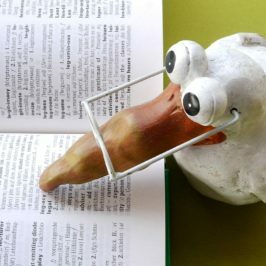 In its modern incarnation it remains a tradition of outlandish concealment and uninhibited tomfoolery—minus the violence—that affords everyone the chance to get ‘rigged up’ in all manner of motley disguises and turn the world on its head for a short while.